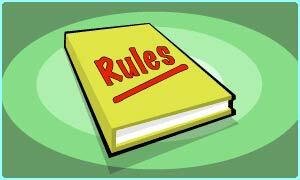 2) Keep a correct language and speak only English or give an English translation of your posts. You are allowed to create a specific language topic but if you do so, you must put the language in the begining of the post name, like "[German][Guide] How to create ..."
3) Read the Stickies in each forum and use the search button to see if your questions haven't already been asked and answered. All problems and bug reports related to a custom serverpack must be asked in the main thread of the serverpack! Example: [Help]How can I create a new database with navicat ? Example: [Release]My custom selfmade weapon ! omgggggg big big error help !!!!! 5) Give as much details as you can when you have a problem ; the more you describe it, the more help you'll have. 6) Do not post any complain about missing features in L2 server files. Remember that every people here work for FREE, that means during their free times and so it's not their main job! 7) Do not make advertising for your server in your posts or in your signature, for other forums (only L2J official forum link is allowed) or commercial products or in images. 8) Do not redirect a user on L2J official forum if his problem is related to a custom server pack. 9) Don't use caps lock in your posts and make spaces, it's always easier to read when you don't have a 40 lines block without any return. Last edited by DaRkAnGeL; 30-09-13 at 11:14 PM.